Nextcloud is a fork of ownCloud that’s quickly becoming the newer, better and faster-developed alternative to the self-hosted cloud storage software of old. It has every feature OwnCloud has to offer and more; if you’re an ownCloud user and have ever been frustrated by the dual licenses, the paid vs free model and – as part of it – lack of some of the better features, Nextcloud have gone completely FOSS (Free and Open-Source Software) following the Red Hat model of charging for enterprise support rather than enterprise features. Some of the previously enterprise-only features released as part of the standard FOSS Nextcloud installation include FileDrop, an alternative to Dropbox’s “File Requests”, two-factor authentication and LibreOffice online, an alternative to Google Docs or Office Online. 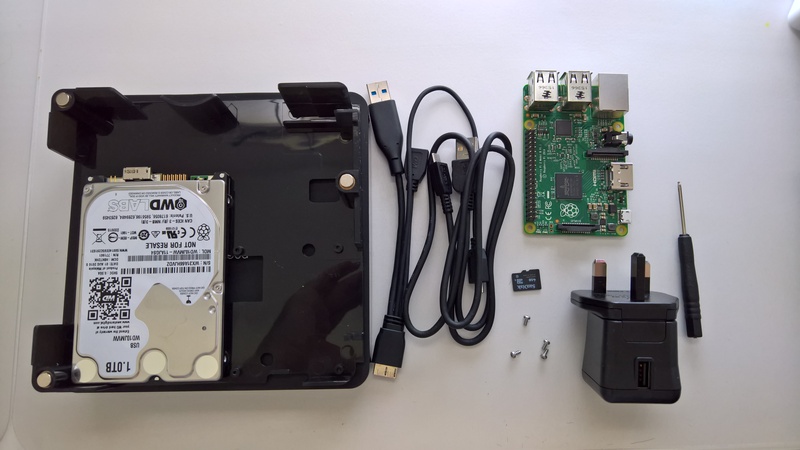 In addition to recently announcing version 10, Nextcloud have worked with Canonical and WDLabs to bring to market the Nextcloud Box, a small (not quite fitlet-RM small but still), Raspberry Pi-powered, Snappy Ubuntu Core server with a 1TB WD PiDrive retailing currently for £60. 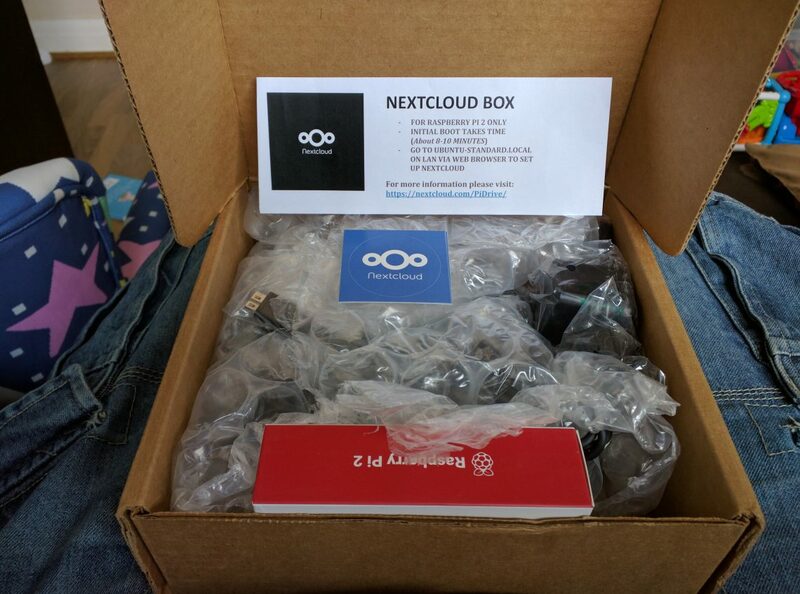 I asked Nextcloud if I could get a review unit and a fortnight later it arrived at my door complete with a Raspberry Pi (not included on retail units). Again, the Pi is not included in retail units so will have to be supplied. Currently the Nextcloud Box supports the Raspberry Pi 2 Model B, but this will be expanded with software updates in the future to work with additional boards. As the Nextcloud Box comes disassembled it will naturally need to be put together. Once assembled, the lid secures with a few powerful magnets making it wonderfully easy to gain access if required without the need for tools. Yes, that’s really all it takes. It’s worth noting this is still Nextcloud 9. An update to 10 is currently in the works as of publishing. You may notice the links above are plain old HTTP. HTTPS is not enabled by default due to firewall requirements. Let’s Encrypt is included with the Nextcloud Box as standard and once port forwarding is in place it’s really easy to enable HTTPS. Once set up, Let’s Encrypt will automatically renew its certificates, requiring no further input to remain secure. The steps for enabling HTTPS can be found here. 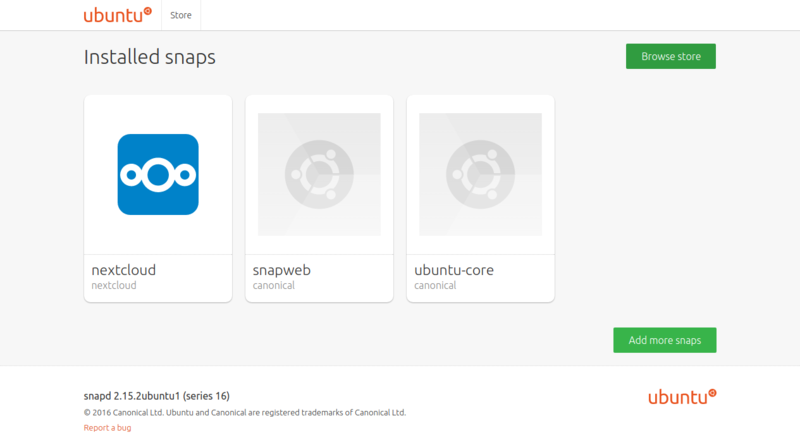 Being a Snappy Ubuntu Core, there are a slew of other apps that can be installed, including some recommended by Nextcloud such as Snapweb. However following this the interface will be available either via the internal IP or hostname on port 4200, eg: http://ubuntu-standard.local:4200. 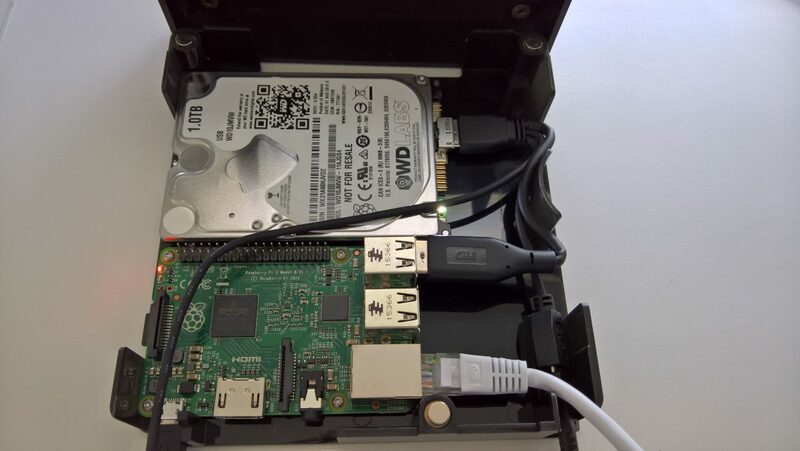 The Nexcloud Box wiki explains how this can be setup as an external site from within Nextcloud itself here. Snapweb will be installed by default in this way in the future. Other recommended Snaps include Rocket.Chat and SpreedRTC, but there are so many available it’s definitely worth exploring the Snap store to check out the various services which can be run in addition to Nextcloud on the Box. Up to now my main Nextcloud instance has run within an LXD container atop a Ubuntu 16.04 host with 4 cores and 16GB RAM, by no means a slouch. By comparison, the Pi-powered instance is somewhat less responsive, but by no means does it perform poorly. I uploaded around 17GB of data overnight averaging out at roughly 9MB/s – not unexpected on the Pi’s 10/100 NIC. Inside the network the 10/100 NIC is something of a bottleneck, but from outside – where you can access your files on the go – this will not be noticeable. It didn’t crawl to a halt as I was somewhat expecting it to uploading so much data in one go, and I feel the performance is fine for a couple of users. Cracks will show with multiple users simultaneously using the Nextcloud Box for large up/download tasks though, so keep that in mind. My only real gripes with the box as it stands today are thumbnail generation (which can be quite slow on big folders) and a lack of PrettyLink support. For the former I’ve raised it as a concern in the official Nextcloud Box topic and have been told NextCloud 11 will help alleviate this. For the latter I’ve raised a feature request. 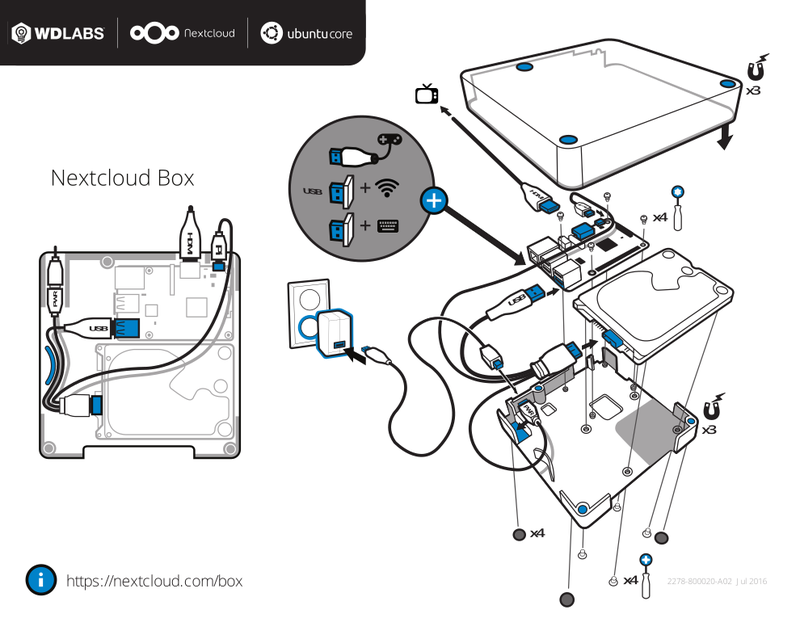 The Nextcloud Box is a big step forward for the IoT (Internet of Things) arena and I’m really impressed with the first iteration of what I anticipate to be a very popular product. It won’t be for everyone given the minimal specs of the Pi, but for enthusiasts and hobbyists, it’s a great introduction to Nextcloud and other self-hosted solutions. 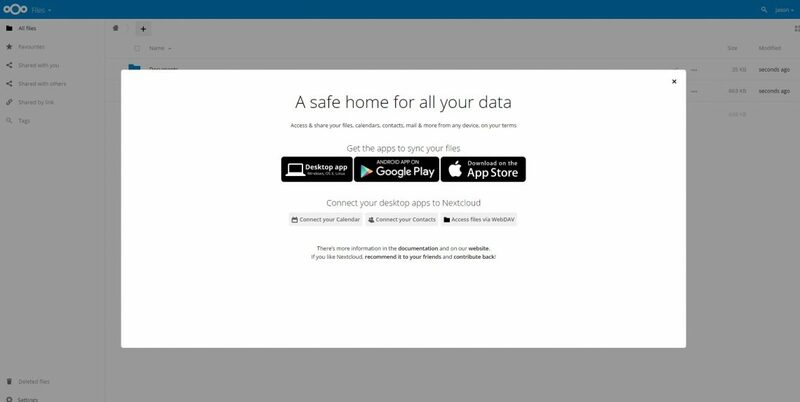 Nextcloud are all about empowering people to take back their data. With the Nextcloud Box being simple to build, simple to setup and most importantly, simple to use, they’re taking this vision to the next level. 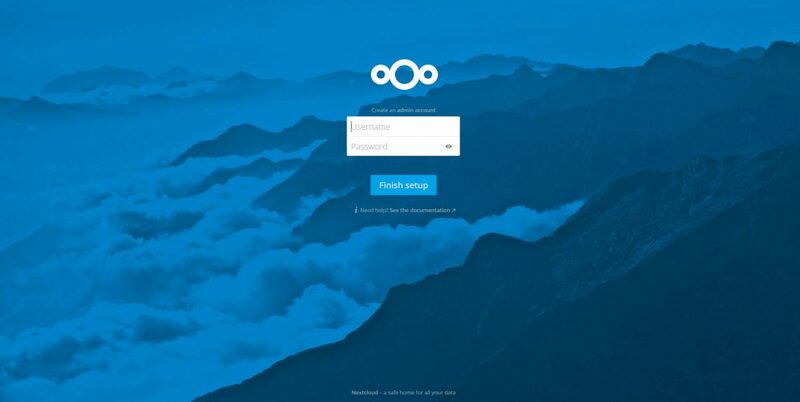 Are you a Nextcloud fan? 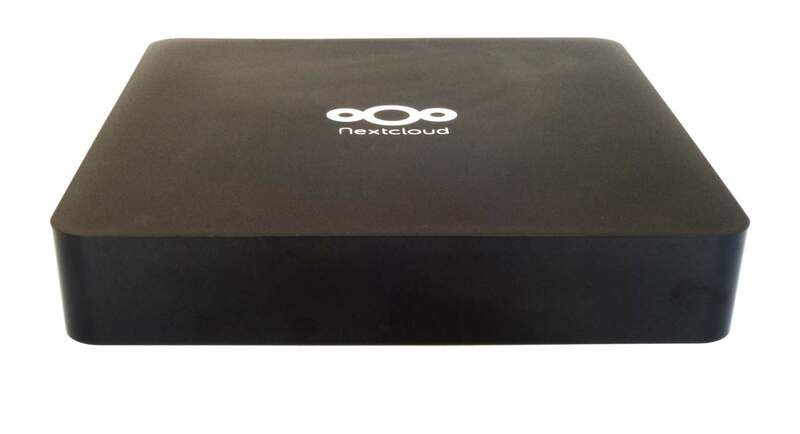 Are you considering picking up the Nextcloud Box? Let me know in the comments, @jasonbayton on twitter or @bayton.org on Facebook.